Since the middle of the twentieth century, polio has been on the fast track to being an extinct disease. When the cure was first found, the numbers of reported cases began to drop off dramatically. Since 1988, the number of countries reporting cases of polio has went from 125 nations to just four: Afghanistan, India, Nigeria, and Pakistan. As far as Bill Gates in concerned, that is four countries too many that are still dealing with the disease. Recently, the illness has afflicted people in the four nations where it is still active, as well as Tajikistan and the Democratic Republic of Congo. Bill Gates believes that the recent reports are a sign that if the leaders of the world do not band together to take out the disease for good, all of the work that has already been done will be put at risk. The Global Eradication Initiative has come up short in their funds by $720 million for 2011 and 2012. Gates said that now is the time to work together to finish the job we started a half-century ago. After meeting with Sheikh Mohammed bin Zayed of the United Arab Emirates last week, Gates announced that the prince of Abu Dhabi would donate $17 million. David Cameron, the Prime Minister of England, announced that after meeting with Gates, his nation would be donating $62 million. 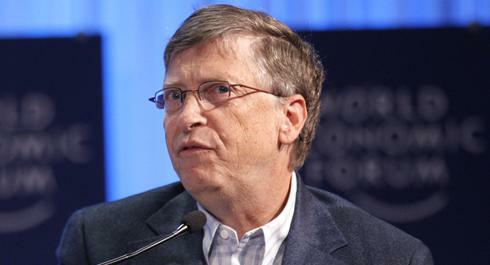 Gates himself will be donating $302 million this year via the Bill and Melinda Gates Foundation. Gates is also intending to work closer with President Asif Ali Zardari of Pakistan to get more support for the Pakistani government to help eradicate the disease that is effecting the children of the Middle Eastern state. Polio is no longer at the forefront of the minds of Americans as the disease is practically unheard of in the United States, but the illness still exists in the world. And as Gates, along with many others, knows, if we do not eradicate it for good now, there’s no telling of how strongly the disease might come back. Mark! Your articles are amazing, keep writing!